How Many Boxes do you really need when you’re Moving? 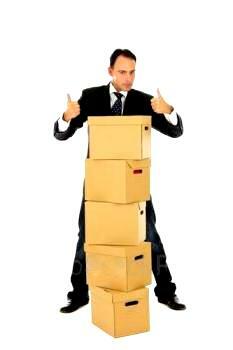 Movers and packers in Dubaiare a dime a dozen these days. Finding a reliable moving company is tough and ensuring that reliable company gets everything moved perfectly on your checklist is even more difficult. We at The Box in Dubai are one of the very few who do get it right every single time. But what if you happen have fewer items to move? And you do not need the services of a moving company in Dubai. You need to get your items packed yourself, with some help from the neighbours of course and that’s about it. Doing a mover’s and a packer’s job isn’t all as easy as it seems. You will first have to visit our Box Shop where you can purchase metres of bubble wrap, insulation material, tape guns, tape and some boxes which are available at our shop in various sizes and shapes made for different purposes. “How many boxes do I really need?” would be the next question that pops in your mind when you enter our store. Well, that would depend on the number of items that you are moving, and the materials that those items or goods are made of. Take for example dinnerware. If you have to wrap a number of plates made of glass or china, you will definitely have to wrap them up individually; so that they do not rattle in the box, when you are transporting them. A set of up to 10 plates can easily fit into a 2X2 foot box with some insulation material thrown in. Cardboard wardrobe boxes are also available at our store which allows for up to 10 garments to be hung within the box. This helps when it comes to delicate clothing which simply cannot be folded up or boxed up. It is smart to always buy some more boxes or insulation material so that you would not end up cramming everything into one box leading to cracked dishes and broken vases. Still need some more help? You could always walk into one of our Box Shops and we would be more than glad to help you out.